Clash Royale’s March 2017 update is here, bringing with it new leagues, new cards, a new 2v2 mode, and a new arena! This update is amazing, much better than the leaks would have ever suggested. Let’s go over all of the new features in the March update, including the bandit, night witch, heal spell, and bats as the new cards! That’s all of the features for the Clash Royale March 2017 update! Personally, this is my favorite update from Clash Royale, especially with 2v2 mode coming soon into the game. Thanks a ton for reading and comment down below your favorite part of this Clash Royale update! Clash Royale March Anniversary Update LEAKED! Clash Royale, c’est génial, mais malheureusement, il y a des personnes imprudentes dans la société qui ne respectent pas les règles. Les parents devraient savoir si leur enfant joue à ce jeu afin qu’ils ne se heurtent pas à de mauvaises situations comme le discours, le sexe et la violence. 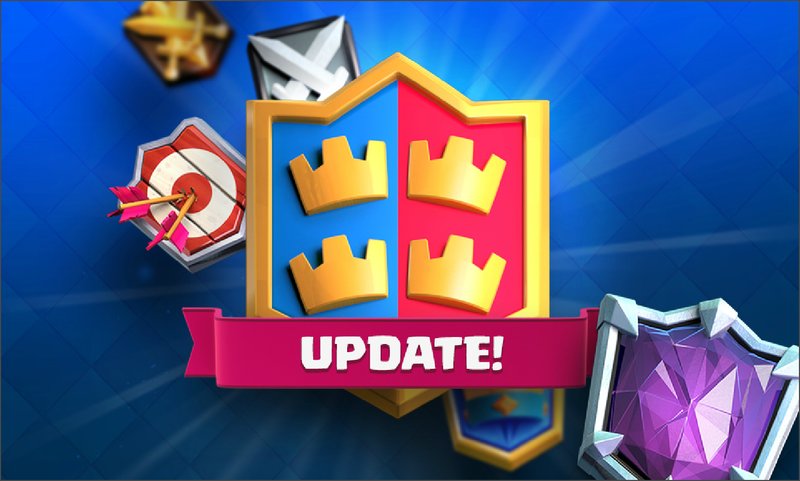 Pingback: Clash Royale March Update Overview: New Leagues and Cards | Clash of Clans Guide, Strategies, Tricks and More!